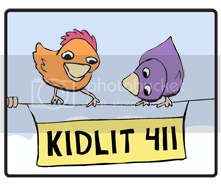 I read a lot of books for children, and only rarely am I inspired to review them. 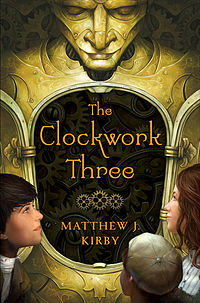 Matthew Kirby's The Clockwork Three (Scholastic, 2010) is one that hits my sweet spot - it's a satisfying story of friendship, adventure, magic, and hope set in a 19th century industrial America with steampunk-clockwork-fantasy elements. The Clockwork Three tells the story of three children, each in struggling or desperate situations, whose efforts to improve their lots intertwine in unexpected ways. Giuseppe is an orphaned street busker, trapped in a vicious, exploitative situation with his padrone, who finds a magical green violin that may help him find freedom. Frederick is an apprentice clockmaker with a tortured past but a promising future as he secretly creates a fantastic, but possibly dangerous, clockwork automaton. Hannah is a poor maid at a fancy hotel, trying to save her family from poverty and her father from debilitating illness, who meets a mysterious woman with supernatural powers. 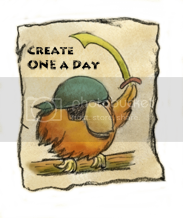 Matthew Kirby effortlessly weaves these stories together, throwing in a treasure hunt, suspense and action, and the developing bonds of friendship and love among children unused to allies or help. Sounds sad but amazing. I suspect there is an uplifting ending? I hope so! Hi Mia, It actually is not really sad for the most part. The kids are in dire situations but they manage to succeed quite well. Now that I know who he is (finally...LOL!) I'm going to read this book! Actually, its premise sounds really intriguing and I think my older son might like it too.